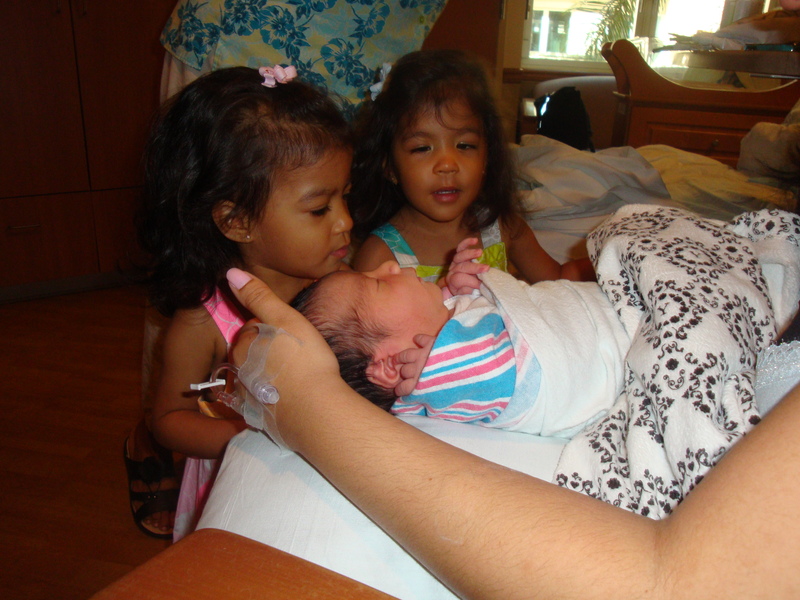 On Saturday morning, March 31st, 2012, at 11.29am, we welcomed the newest addition to our family. 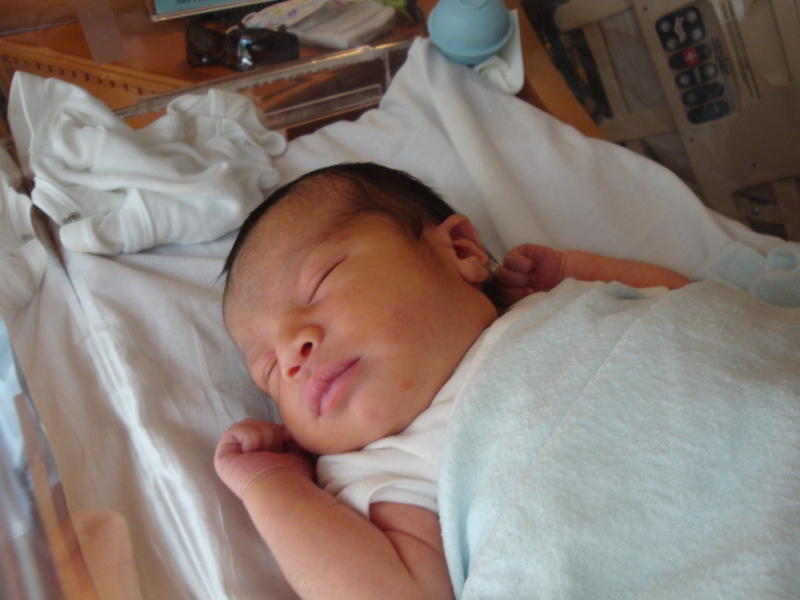 Lucas Benicio Duarte was born weighing 7lbs 3 oz, and 19″ long. Full head of hair, and milky white complexion; our family was blessed with the arrival of our sweet little boy. Eva & Zoe met their little brother on Sunday afternoon, and were in awe of his tiny body and tiny little feet and hands. It was love at first sight. They were anxious to shower him with kisses and tickle his tiny feet. Lucas and I were discharged on Monday evening, and it has been nice to be home again. Eva and Zoe have been great with Lucas, and are already trying to say his name clearly when they refer to him. Zoe was holding the baby monitor last night and called into it ‘Hello LuLu’, after I told her it was for listening to Lucas if he woke up crying. Eva called him ‘Baby Luc’ when she was talking to him this afternoon. They wave their hands in front of his face, cooing “Hi! Hi!” and have been very helpful with him and very playful, too, which has really helped them transition over to ‘big sister’ status for both of them. This is a huge relief, considering we were so worried about dealing with feelings of jealousy and neglect once we brought Lucas home. They know we still love them very much, and we both take time to read to them and play with them still, despite having brought a new baby home. Lucas is one lucky baby. He has been brought into a home full of love and warmth, and has two loving sisters who adore him so much already. We thank all of you for your blessings and best wishes as we adjust to our newest addition. Love to you all , such a wonderful family! So happy for you Haydee. Lucas “is” a very lucky boy…so much love! I am so happy for your beautiful family. Having a little boy will be such a joy. I love the picture of the girls with him. They are already little mommies. I wish we could visit and kiss on your babies. We love you guys.